Join Skilled Therapies’ growing team in Martinez, Concord and Walnut Creek. Skilled Therapies, Inc. is based in the east bay using a collaborative approach to provide the best care and treatments for each patient. Skilled Therapies is continuously seeking part-time and full-time help to accommodate the needs of our patient demand and growing business. Why Skilled Therapies? 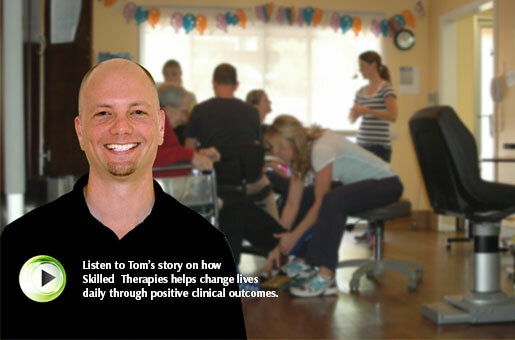 Our therapist owned company is upbeat and compassionate. Our rehab team treats each patient with professional care. We have state-of-the-art modality equipment, functional based programs, well equipped gyms and much more. Our company uses Rehab Optima software to improve speed with documentation. Our Rehab Directors are experienced, organized, and lead our teams with ethical care of our residents. If you want a career where you can develop and challenge your skills in a positive and team centered atmosphere, you owe it to yourself to find out more about Skilled Therapies, Inc.
We take pride in our reputation for giving outstanding patient care.